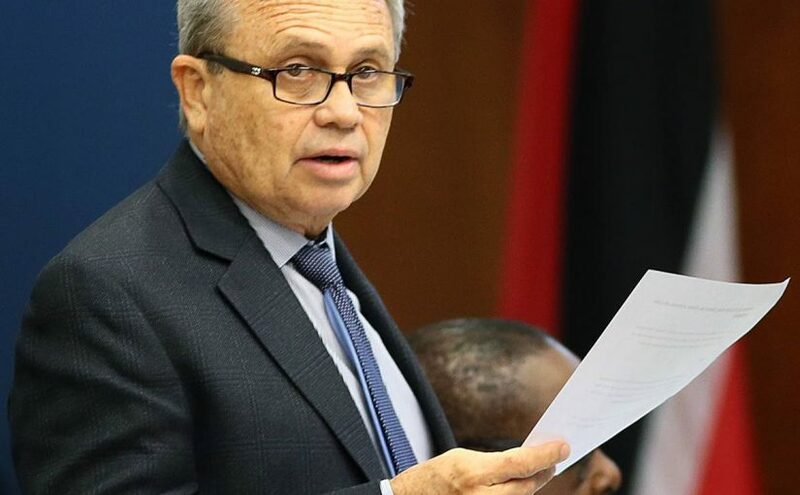 Minister of Finance Colm Imbert Friday promised more water in both Trinidad and Tobago, in reply to a Question to the Prime Minister in the Lower House from Caroni Central MP Dr Bhoe Tewarie about plans to ensure the water-supply crisis does not worsen in the dry season. Imbert who was acting PM at the time replied that a number of activities are in place for 2019. Imbert said Trinidad also would get an extra two million gallons per day, by the drilling of five new wells and rehabilitation of six wells. For emergencies, a further two million gallons per day could be brought into the system from Desalcott, he added. He named other initiatives as leak repairs, a water conservation programme, a water tank assistance programme and a reduction in the loss of water. The post Colm: More water soon appeared first on Trinidad and Tobago Newsday.